I don't make it to the manicurists that much anymore- probably about once a month. In the meantime I give myself manicures at home. So when I ventured out to the nail salon last week I decided to try a new color that I hadn't tried before to shake things up. I tried OPI's Vodka & Caviar- a delectably rich red. I like this red so much I rank it right up there with Essie's A-List. A good nail polish evokes passion in me... and it's good to know I'm not the only one who feels like this! Daily Connoisseur reader LMK reminded me of this when she made a reference to the film, The Women, where the nail polish color Jungle Red causes a lot of waves. And in other exciting news... There are two wonderful blogs that are doing a giveaway of my book Lessons from Madame Chic: The Top 20 Things I Learned While Living in Paris! Kristi from La Bella Figura (who is the author of her own chic lifestyle book called La Bella Figura) is holding a giveaway for an autographed copy of my book. ... and Bliss from Stepping my Way to Bliss , who writes a wonderful blog and has a very cool Etsy shop that sells vintage handbags and other delights, is celebrating one year of blogging and is having a big giveaway this week- and an autographed copy of my book is one of her prizes. So whether you already have a copy of Lessons from Madame Chic and want an extra one to give away as a gift or you have yet to get one for yourself, enter their giveaways for this great opportunity! Also the wonderful Tish from A Femme d'Un Certain Age has mentioned The Daily Connoisseur and Lessons from Madame Chic on her blog this week... click here to check it out! Until next time, I would love to know... what is your favorite nail polish color? Happy Thanksgiving to all of you. This year I am thankful for so many things- my family, my friends and for all of you that make up this wonderful community on The Daily Connoisseur. 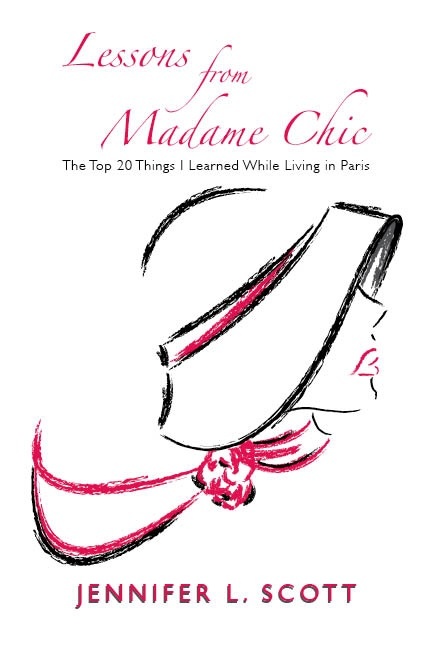 This weekend my book Lessons from Madame Chic: The Top 20 Things I Learned While Living in Paris debuted as a bestseller (#2) in books about Paris on Amazon.com! Thank you so much- I could not be more grateful! I hope you all have a wonderful weekend with your families. Until next time... happy reading! This book has been a labor of love. For those of you long time followers of The Daily Connoisseur you know this book was inspired by the countdown I did about the top 20 things I learned while living in Paris. Each chapter represents a lesson I learned while living in Paris. Some of the lessons I learned from Madame Chic, some I learned from Madame Bohemienne and some I learned from the city of light itself. The chapters are divided into three sections: Diet and Exercise, Style and Beauty and How to Live Well. Have you ever wondered what everyday life is like inside a modern, aristocratic Parisian household? The French are notoriously secretive when it comes to their private lives but Jennifer L. Scott’s Lessons from Madame Chic: The Top 20 Things I Learned While Living in Paris, uncovers the very secrets and lifestyle traits that allow Parisians to live such fulfilling and passionate lives. Each chapter reveals a valuable lesson Jennifer learned while living behind Famille Chic’s doors in the exclusive 16th arrondissement in Paris. After the lesson is revealed, she provides tips and musings on how to translate the lesson to your own life. Some of the topics explored include: cultivating an air of mystery, le no makeup look, 10 item wardrobe, rejection of new materialism, the art of femininity and life as a formal affair. I need your help promoting this book, so if you like it, please recommend it to your friends, review it on Amazon.com and mention it on your social networking sites. Thank you so much for your support- I hope you love the book as much as I do! 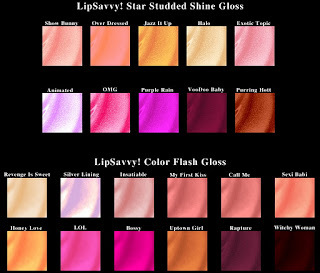 This week I have a review of a fun new product- Lip Savvy's innovative pout perfecting lip glosses. The people from Lip Savvy sent me their gloss in the shade My First Kiss (a very pretty soft pink) to review. Lip Savvy glosses are over achieving glosses- they are anti-aging, anti-oxidant boosting lip plumping and moisturizing glosses all in one wildly packaged gloss. I was interested to try the gloss because I wondered how it would be possible to do all of those things and still achieve a pretty and likeable gloss. I say likeable because I have tried so many lip glosses that have been almost perfect, but not quite. Either they have a sticky consistency, or they taste bad, or (if they are lip plumpers) they sting the lips. 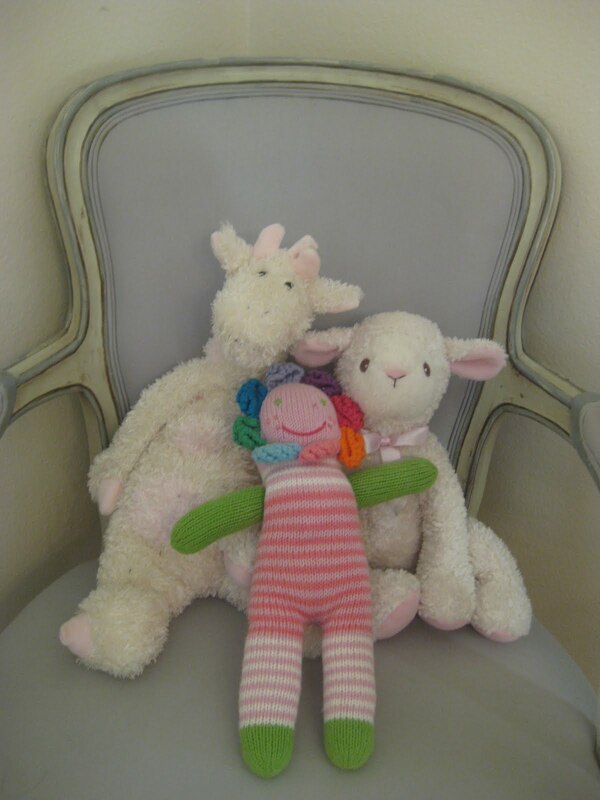 And lastly, thank you to everyone for your comments of love and support about the new baby. We are so thrilled and I am so grateful to be a part of this wonderful online community with you. Thank you. As I move into the second trimester though I find I have more energy and have even developed a few beauty and homemaking systems that have saved me time and have produced rather illustrious effects (all based on French philosophies, of course). I will divulge those later but for now I just wanted to share with you my happy news. Thanks in advance for your support. And as for an update on the book... I am just as impatient as you are! I will not bore you with all of the technical issues of its pending publication, but suffice to say I *hope* to have it out before the end of this month. Thanks for all of your support with that matter as well! Madame Chic (the Parisian host mother in my study abroad program) ran a very beautiful and efficient home. It was the details that mattered to her. One thing she always used was a tablecloth. The table would be considered naked without one. Every night after dinner I would help her take the cloth off. We would do this carefully as baguette crumbs and other odds and ends usually gathered on the cloth’s surface. 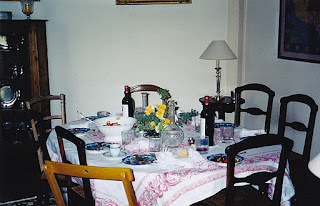 We would then walk to the kitchen window (their Parisian apartment was several floors up) and shake the cloth out the window as a way to remove all of the crumbs. Then if the tablecloth was still looking in top condition the cloth would be taken back to the table, if not it awaited its laundering the next day as fresh linens were ushered in. It was such a simple activity, shaking the tablecloth out the window, but I remember really enjoying it and feeling rather ‘quaint’ while doing it. Since I’m back in America I have brought with me Madame Chic’s love of tablecloths and always have my own table adorned. Of course crisp white is perfect for elegant occasions (formal or casual), bright colors are lovely for adding life to a room and seasonal hues are perfect for ushering in the holiday spirit. I also like to experiment with layering different textures or colors together on the table. 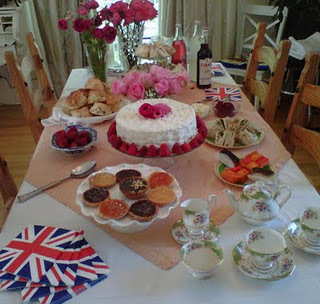 Below is the table I set for the Royal Wedding Tea Party I threw last spring. Here I layered a marigold colored linen cloth that I picked up during my travels in Sri Lanka on top of a plain white table cloth purchased from Williams Sonoma. So that I am not constantly laundering tablecloths after ordinary dinners at home (some how we are a little messier at dinner time than Famille Chic) we generally put place mats on top of the cloth when we have dinner to avoid too many spills. And because I live in a townhome I still employ Madame Chic’s quaint technique of shaking the cloth out the window after dinner. Although regarding that I do have a word of caution- It is important when shaking the cloth out the window (especially if you live on the second floor or higher) to make sure that a.) no one is underneath the tablecloth when you shake it and b.) that there is nothing valuable like a silver spoon hiding in the folds of the cloth (please learn from my mistakes). I would love to know… do you use tablecloths? How do you dress your table? Madame Chic's beautifully laid table is the first picture featured... Oh the wonderful dinners that were had at that table! This week's video shows you my sunglass collection. I laugh when I say 'collection' because I only ever have two pairs of sunglasses. As with my capsule wardrobe and makeup collection- I have a capsule sunglass collection too! I like to go for classic shapes and avoid anything too trendy. Sunglasses can be expensive so I go for a pair that will last me for years to come. My favorite sunglass maker are Oliver Peoples- they just produce high quality glasses that are stylish and timeless. Mine are the Zooey wayfarers designed by the actress Zooey Deschanel. I love wayfarers as they add a vintage touch to any outfit. I've had these glasses for about two years and bought them on Robertson Blvd. The second glasses featured in the video are Michael Kors aviators- another classic American look. These aviators are very lightweight and will never go out of style. If you take good care of your sunglasses they will last you forever. I've had my aviators going on five years now! I would love to know... what are your favorite sunglasses?